We achieve this enhancement by providing healthcare operations consulting action plans that enable your department/facility to realize goals and operational optimization efficiently. Our client-focused and tailored implementation provides our clients with an edge in the marketplace. A Press Ganey Solution, Soyring's Clinical and Operational Improvement consulting assistance offers a customized approach to suit individual facility needs and its environment. 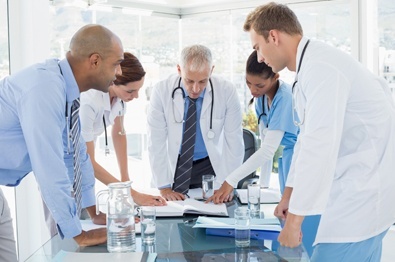 Our experienced hospital operations consulting team, supported by data analysis professionals, identify and implement recommendations to optimize your department whether it’s emergency department operations or supply chain management. With our key hospital Clinical and Operational Improvement Consulting experts averaging more than 20 years of clinical, operational, and leadership healthcare consulting experience, our team is capable of providing assistance in all areas of the hospital, from ED operations and nursing units to interventional administration and case management and discharge. Contact Soyring Consulting for more information on Healthcare Consultancy.